2018 has been a record breaking year for The Big Indie Pitch, we've hosted 25 pitches across 16 locations with more than 300 indies shoiwcasing their game across both our mobile and new PC Pitches. We also hosted our second ever Big Indie Awards this year at G-STAR, a compeition which saw our GDC winner Triband walk away with 2018's grand prize for their game WHAT THE GOLF? This wasn't all that happened at G-STAR though, as we returned to South Korea's leading game show for the second year running in order to host our final Big Indie Pitch of the year. A pitch that saw a variety of developers battle it out to be crowned the winner, a title that was ultimately awarded to Phillipino developer ThinkBIT Solutions' Brawl Quest. A mobile-first character collector beat em up. Of course, Brawl Quest as you already know was the winner, but we always award prizes for the top three. So read on to not only find out more about Brawl Quest, but also our second and third place prize winners too. In Brawl Quest players must battle their way through over 50 levels, all whilst collecting a diverse array of unique collectible characters, all of which have their own skills and abilities. Inspired by classic retro arcade style beat-em-ups from days gone by, Phillipino developer ThinkBIT Solutions has taken these classic gameplay mechanics and adapted them for mobile platforms, giving the game addictive touch controls tailored to the mobile experience. All in all, Brawl Quest was a more than worthy winner and is definitely one to watch for those who love a seamless blend of old and new gaming mechanics. Back again and once again taking the prize for second place, Big Ear by the aptly named Big Ear Games, is a title that looks to combine all the love of creating music with a magnitude of different educational aspects in order to teach the universal language of music to all. Within the game, players must place the musical notes in the correct places in order to match the melody and create a range of melodies. What’s more, players can also choose from a range of musical instruments and an array of customisation options, giving the game a very personal feel. 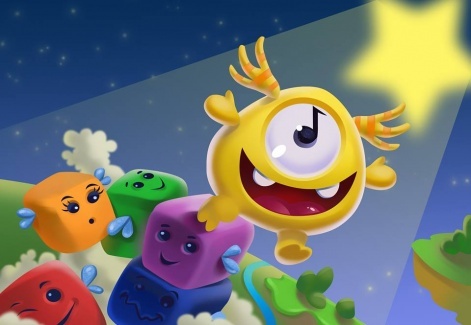 Both cute and tactical at the same time, in BattleSky Brigade: TapTap is a 3D idle-clicker game where players must construct their very own floating island. One populated with some of the most adorable characters to grace mobile screens. Featuring more than 200 unlockable characters and buildings, alongside a range of different world, BattleSky Brigade: TapTap gives players a wealth of different development options allowing you to truly create your very own unique living town. The Big Indie Awards this week!